The stand-alone depanelling system SAR-1300 milling bit with single or double shuttle system is characterized by its ability to be retrofitted (2nd shuttle, 2nd milling head). All movements are executed by linear motors. This machine is designed for manufacturers with small to large batch sizes and medium to high product variance. The system can cut with either milling bit or disc. Depending required capacity: Configurable with single or twin shuttle system, the second shuttle is always retrofittable. Shortest cycle times thanks to highspeed-linear motor actuators and reduced dead times. Maximum availability through use of high-quality components and easy system setup. Ergonomic operator, even at high level assemblies. With the growing trend towards miniaturization and the use of highly sensitive components, there is increasing demand for completely dust-free and stress-free cutting of PCBs from the multi panel. 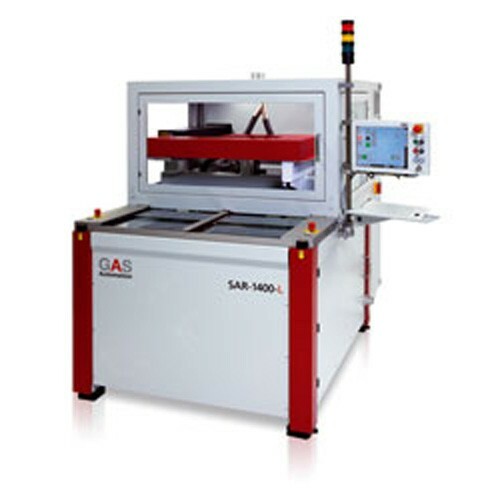 The stand-alone depanelling system SAR-1400-L provides an ideal solution.